From 802.11AC to mobile device management software, the five challenges that tech managers must address. Technology changes so quickly that the hardest aspect of being a technology manager at a school is to recognize and quickly react to disruptive technologies on the horizon. Those that are missed could become potential disasters. The WiFi-enabled Passport 1000 lock can be activated on schedule, based on need. Revolution, not evolution continues to be the order of the day in the classroom, with textbooks being replaced by tablets and chalkboards giving way to projectors. Unfortunately, most schools—never known for their ability to spot trends and adapt to them—are today ignoring five items that have appeared on the IT landscape over the past several years. Out of sight, out of mind could quickly become out of business. From expanding WiFi coverage and integrating features like door locks and access to AV equipment into a network’s IP infrastructure, to dealing with BYOD and Chromebooks, many schools have their collective head in the sand. The sad truth is that it is the rare school that has a plan for even one of these developments. Others might have an eye on one or two of these five trends, but the rest are likely not even on their radar. On its own, each trend is a potential disaster in the making, but put them all together and you have a perfect storm of missed opportunities that could turn into a catastrophe down the road. In fact, it could take years, if not decades, to undo the damage, and by then there will likely be a new set of concerns. When the Internet Protocol was first developed in the 1970s, it was designed for connecting hulking mainframe computers together. Today, it has grown into a protocol for integrating all sorts of things, from notebooks and tablets to smoke alarms, light switches, and security cameras. Eventually, it will have the potential to rewrite how equipment and facilities are controlled and managed. That’s because there is an emerging trend where everything electronic gets an IP address and connects via a wired or—more likely—WiFi connection. It lets you do things like remotely check on the status of a projector, view security camera footage at home on a phone, and even turn the lights off in areas not being used. A sea change in the making for facilities management, the IP revolution can make many manual operations automatic. Consider the simple example of locking and unlocking a classroom door. 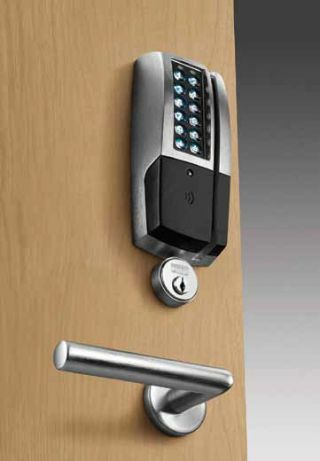 Rather than leaving it up to teachers to unlock the room in the morning and lock it at night, with an IP-connected lock it can be done on a schedule, based on need. Plus, there’s no distribution of physical keys that need to be retrieved when an employee quits or is fired. What about during a power or network failure? “The locks can operate on their own, and nobody gets locked in,” he added. Integrating more IP devices is a double-edged sword, because depending on how you look at it, this increasing use of WiFi for facilities management either makes better use of an existing resource or adds more traffic and stress on the school’s WiFi network, potential overwhelming it. In this age where much of what a school does is either directly or indirectly done online, most schools would get a failing grade when it comes to having an effective wireless data infrastructure. It can be embarrassing but many schools still use the 802.11b spec that is older than many of today’s middle school students. On a good day, it tops out at just 11-megabits per second of throughput. That’s barely enough to feed video to a dozen clients at a time before the access point becomes overwhelmed. The answer is the latest 802.11ac protocol. While the spec is still under review by the I.E.E.E., it is stable, there’s a lot of equipment already out there, and over the next six months there will be a multitude of devices to choose from. In fact, I expect that many schools will leapfrog the WiFi specs of 802.11g and n, and go right to 802.11ac. By running data over both the 2.4- and the 5GHz frequency bands, an AC network can boost a school’s theoretical peak data bandwidth to 1.9-gigabits per second. In the real world, no wireless system gets to its top performance, but an 802.11ac access point should be able to deliver data to two or three classrooms at once. With actual data flows of roughly 450Mbps, an ac-based WiFi network can satisfy students with iPads, teachers with notebooks, and staff with Androids, making it a one size fits all approach to mobile data. Janey has a PC notebook, Billie has a Kindle and Bobby brings his iPad to school. What’s a poor IT administrator to do? As the Bring Your Own Device (BYOD) ethic filters into schools, the problem becomes how to give them all access to the resources they need while preventing a digital food fight by maintaining security. The great leveler of mobile computers is mobile device management software that allows each student, teacher, or staffer to log in once to get to a specific set of online and local resources that are appropriate to their role at school, regardless of whether they’re using an iPhone, and Android tablet or a notebook. That way a student can get access to the Web for completing and handing in homework assignments, but only the teacher can see the class’s grades and only administrators can view the whole school’s grades. SOTI’s MobiControl software does this for PCs, Androids, iPads, and Windows Phones. It allows for more than mere access to online resources, because MobiControl can lockdown all devices in a class or school, track lost or stolen systems, and host a secure content library. All Web access goes through MobiControl’s filter so that everyone at school is kept away from objectionable online material. The mobile device software is being used at Westbury Public schools on New York’s Long Island to increase educational potential of this mélange of new gadgets that show up every school day. For most, setting up new devices can be done nearly automatically with SOTI’s MobiScan. Rather than individually configuring them individually, the set up can be done by snapping a picture of a QR code image with the system’s Web cam. Then, the system receives its provisioning data in a matter of minutes. Most schools spend in the neighborhood of about $500 per notebook and spend many times that over its lifetime on deploying, supporting, and updating it. What if schools could spend half as much upfront and less to keep them running? That’s the challenge that Chromebooks pose. In addition to models from Lenovo and Samsung, there are several new systems on the market that fit right into the school scene, including Dell’s Chromebook 11, Toshiba CB25 and Acer’s C720P. They each sell for $300 or less. Because they rely on the Web for more of their resources than PCs and Macs do, Chromebooks require less extensive hardware. Rather than having a complex operating system and bloated software on the machine, the systems are lean. They can also be integrated into a school’s IT landscape much quicker and easier because just about every task is done online, much of which can be accomplished remotely with Google’s Management console. In fact, IDC surveyed schools using Chromebooks and found that they required 69 percent less labor to deploy them and 92 percent less labor to support them compared to PCs. That’s just the start because Chromebooks also have something special that can save hundreds of work hours over the summer. With a single click, the computer can be wiped clean and readied for a new user in the fall. That way, everyone gets a vacation. It’s a sad commentary on education, but according to the EPA, America’s 17,450 K-through-12 school districts spend more than $6 billion annually on electricity. That’s more than they spend on computers and textbooks combined. The good news is that it’s an expense that can be controlled and there are green benefits for every watt not wasted. In addition to replacing incandescent lights with fluorescents and LED-based lighting fixtures, changing the type of projectors a school or district uses can pay big dividends by cutting a school’s power bill. Rather than using a high-pressure quartz lamp that can consume upwards of 450 watts of power to create the projector’s beam, a comparable LED or hybrid projector uses much less electricity and has the bonus of never needing an expensive replacement lamp. While LED and hybrid projectors, such as Casio’s XJM140, cost a little more up front they can cost a lot less to operate day-in and day-out. In other words, they can quickly pay for themselves. “We’re hoping to save 50 percent over six to seven years,” offered Wayne Hamilton, the chair of the technology committee at Nova Scotia Schools in Canada. His group coordinated the purchase of nearly 2,000 Casio projectors over the past two years for use in Nova Scotia’s more than 400 schools. One energy-efficient projector won’t make much of a difference to global warming, but it’s a first step down the road toward making every watt count at schools. For example, a school with 100 projectors might save something like $2,700 a year in electricity by using LED-based projectors instead of traditional ones. More to the point, that’s the equivalent of keeping 55 metric tons of climate-changing greenhouse gases out of the atmosphere. Enough nationwide to shut down a couple power plants, it will let us all breathe a little easier. The interplay of policies such as Common Core, ConnectED, and technology. At Hendrix College in Conway, AR, The Sextant Group provided concept development, technology systems design, acoustical design, and construction administration for a new 78,000-square-foot facility, which featured an educational technology center for group-based learning and student presentation practice. A necessary component for success in this vertical is an understanding of the state of the market and how education technology is funded, whether through E-Rate, endowments, or other sources. Read the rest of Karen Mitchell’s investigation on www.avnetwork.com. Erfan Mojaddam, director of information technology, St. Mary’s School, demonstrates Elite’s interactive whiteboard screen and Epson projector. Elite Screens Inc. has been making headway in both the K-12 and higher education markets with its line of “whiteboard” projection screens. One recent whiteboard screen review comes from Erfan Mojaddam, director of information technology at St. Mary’s School, an IB World School, in Aliso Viejo, CA. The school has installed Elite’s WhiteBoard- Screen Universal WB94HW (94-inch HDTV format) with an Epson Brightlink 485wi (Interactive) projector. The White- BoardScreen Universal is a combination magnetic whiteboard and projection screen formatted to the 16:10 standard computer aspect ratio. It uses Elite’s Versawhite dry-erase material over a magnetic backing. The Versawhite material is made of a 1.1 gain matte white projection surface coated with a scratch-resistant optical nanotech resin. Versawhite gives clear color reproduction and a wide viewing angle for limitless training/classroom applications. In addition, a pliable adhesive variant for converting wall space and a magnetic backed version for converting ferromagnetic surfaces are available. The product is also (UL 2818) GREENGUARD and GREENGUARD Gold certified for indoor air quality compliance. “Enabling educators to maximize training potential through accurate video presentation is both a privilege and business success that the Elite team is proud to be a part of,” according to Elite’s David Rodgers. FSR has appointed Gina Sansivero as the company’s new director of educational sales. Jan Sandri, company president, said that in her role, Sansivero is charged with strengthening FSR’s reputation and brand recognition even further within the education market. In her new position, Sansivero will be responsible for educating the market about new opportunities for interactive and collaborative learning systems offered by FSR, embedding the company as a primary or top-tier manufacturer of installations in higher-education and K-12 buildings and campuses. Sansivero will build relationships with educational contacts and uncover ideas and applications for even more comprehensive and cohesive products. Additionally, real estate is a real concern for tech managers of higher ed facilities: while technology is a priority, finding adequate space allotted specifically for technology is a challenge. “FSR is focused on addressing the search for space by offering ceiling boxes that hold up to four rack units of equipment and hide it in the ceiling, out of sight, secure, and easy to access,” she said. Sansivero can be reached at gsansivero@fsrinc.com.